Anna Maria Island is situated on the Southwest side of Tampa Bay. 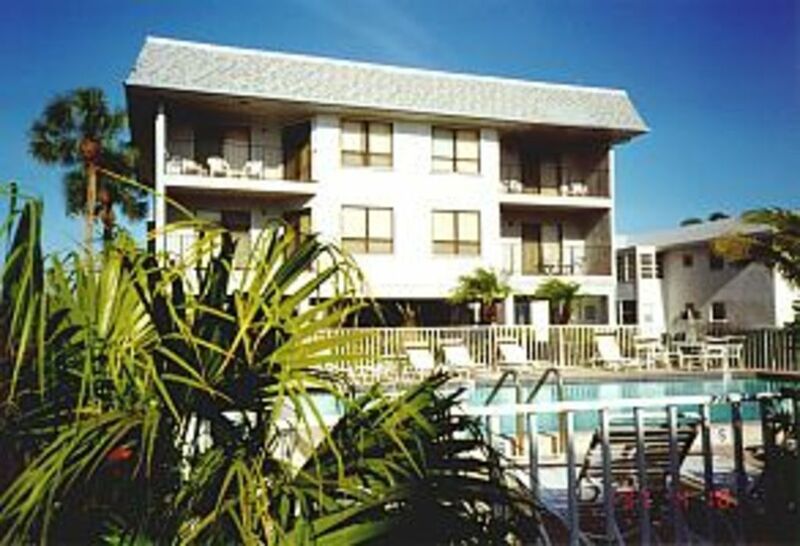 The condominium is 1 minute from Bradenton Beach and backs onto Palma Sola Bay. It is within easy walking distance of the shops, restaurants and all sporting activities. A FREE TROLLEY SERVICE OPERATES FROM THE NORTH OF THE ISLAND TO THE SOUTH, EVERY 20 MINUTES AT PEAK TIME. STARTING AT 0630 AND FINISHING AT 22.30, TROLLEY STOP OPPOSITE GULF WATCH WITH THE TROLLEY STOPPING AT ALL MAJOR ATTRACTIONS. The second bedroom has a single and a double bed. The kitchen has a dining area for four people and, in addition to air conditioning. There are ceiling fans in all the rooms. Carpets and tiled floors, and furniture on the balcony. It is 50 yards walk to Bradenton yachting marina and restaurant and an 8 minutes walk to large restaurant on the beach. There are 3 fishing piers and 3 golf courses within 8/15 minutes drive. This is just one of 70 properties in which we represent on Anna Maria Island all available through Suncoast Resorts, call for further details. Golf: Palma Sola Golf Club. For Tee times telephone 792 7476. The 18 hole public course is 10 minutes drive from the property. The course record is 62. There is a snack bar, and the course is less crowded in the afternoon. There are many other courses in the area within 15 / 30 minutes drive. The owners of the condominium play golf, so check with us for a comprehensive golf guide of the area.